We love WordPress. It is user-friendly and allows you to customize any part of the site as you wish. We are familiar with frontend’s customization. You can find out thousands of WordPress tutorials on Google regarding how to deal with single posts, pages, headers, widgets etc. But now we are going to cover the backend part. If you are new to WordPress, our tips will give you a brief idea about how to use and manage the site. To know more about WordPress initial tasks, read this post. You can manage several things and access a number of related services from the top toolbar of WordPress. It lets you contact support forums, create a new content or new user from there. It will also notify whether you have any pending update on the themes and plugins. 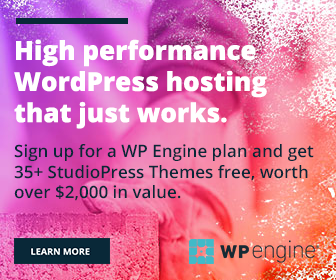 Are you using Yoast SEO or W3 Total Cache plugins on the blog? Yoast SEO enables keyword research and other SEO settings on the toolbar. It will connect you to the external research tools like Google trends, Adwords and SEO book to analyze latest search trends. Using Performance tab, you can clear cache and optimize the blog in a single click. Posts section (Posts > All Posts )shows your single post titles along with the author, category, tag, comment and SEO fields. Do you think some of them are unnecessary and want to hide them from the screen? Tap Screen Options from the right corner of your screen to show relevant options. Uncheck those fields you want to hide. The posts screen usually displays 20 posts on a page. Change the number under Pagination to see more or less number of posts at a time. Go to Posts > All Posts and mouse hover to your desired post to get additional options. Choose Quick Edit. Now you will get these kinds of options. Here you can quickly change a post title, slug, author, category, status and assign new tags. To unpublish a post, change its status to drafts or pending review. Check Make this post sticky box to pin your post to the front page. Replace your post date and time with current figures to quickly republish the content. Tap Update button to save the changes made. Select your posts via checkbox on their left side. Click Bulk Actions dropdown box from the top left to see Edit. Choose it and hit Apply. Now you can manage various parts of selected posts including categories, author, status and tags. Use Comments box to enable or disable them at once and same in the case of Pings. Sticky box lets you pin all selected posts together on the homepage. You can easily delete multiple posts at a time. Check all posts that you intend to delete and click Bulk Actions dropdown box. Choose Move to Trash and tap Apply button. The selected posts will be moved to trash folder where you have to repeat the same steps to delete them forever. There is a search box on the top right side of your screen. Enter your keyword and tap Search Posts. WordPress will bring all posts that contain the said keyword on the title. I want to see all posts published on my blog, during July 2014. Is it possible? Click on All dates drop down box, opt for any month and tap Filter. It will search for all posts published in that particular month and show you the results. It is a nice method to prepare a list of your monthly posts or quickly find old contents. Open All Categories or All SEO Scores boxes to filter your posts in terms of categories, SEO scores etc. You can view posts from a single category using the former box. The latter box allows you to quickly identify nonindexed posts in your site or those without a focus keyword. We usually assign a Nofollow tag to a link via text editor of the content. It will be a difficult task especially when there are massive links in your post. The following kind of screen is the best solution in such a situation. It replaces the traditional link box in WordPress with more user-friendly options. So users can easily set a Rel tag, target and display text while creating links. This is actually a plugin related tool. TinyMCE Advanced lets you customize WordPress visual editor in several ways. After installing, go to plugin settings to manage tools (Settings > TinyMCE Advanced). Scroll down to locate Alternative link dialog box under Options menu. Check the box and Save. TinyMCE will add the above-seen link dialog box in your visual editor where you can create links easier than ever. You can create three types of posts in WordPress. Public: Normal WordPress post. Visible to everyone. Private: Only logged in users, including you and others who are authorized to view private contents can view it. Password Protected: The readers will see the content title along with the password prompt. They should enter the password in order to see the content of the post or page. To change the visibility of your content, go to Publish menu on the right sidebar of WordPress editor. Click on Edit link of Visibility option. Choose your visibility level and tap OK. If you have chosen Password Protected level, it will ask you to enter a password for the post. Do that. To pin the post on homepage, check Stick this post to the front page option and tap OK.
WordPress automatically creates URL from your post title. Google recommends you to use short and stopwords free URLs to make it search engine friendly. So you have to edit the slug most of the times. Your present post permalink will be shown on the top of the editor. Remove unnecessary words from the slug and convert it to a short, keyword specific URL. Tap OK to Save. Categories and Tags menus are present on the right side of your post editor. Tap Add New Category to quickly create a category and choose the main category if any. To create tags, just type your texts in Tags box and tap Add or hit Enter key on the keyboard. Done. Your post will fall under the chosen tag. Search engines may index all your posts and pages by default. But you can change this setting and ask them to not index or Nofollow certain pages in the site. This is also a plugin related option. Scroll down to Yoast SEO settings in WordPress editor. Tap Gear icon for advanced settings. Choose noindex from Meta robots index box to not index the current page. 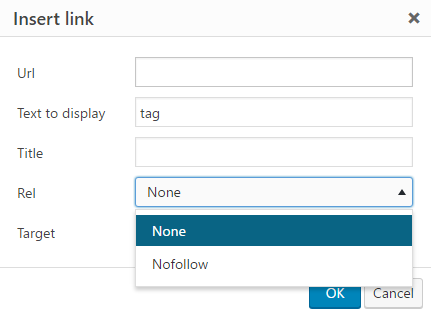 Select nofollow tag to not follow links in the page.